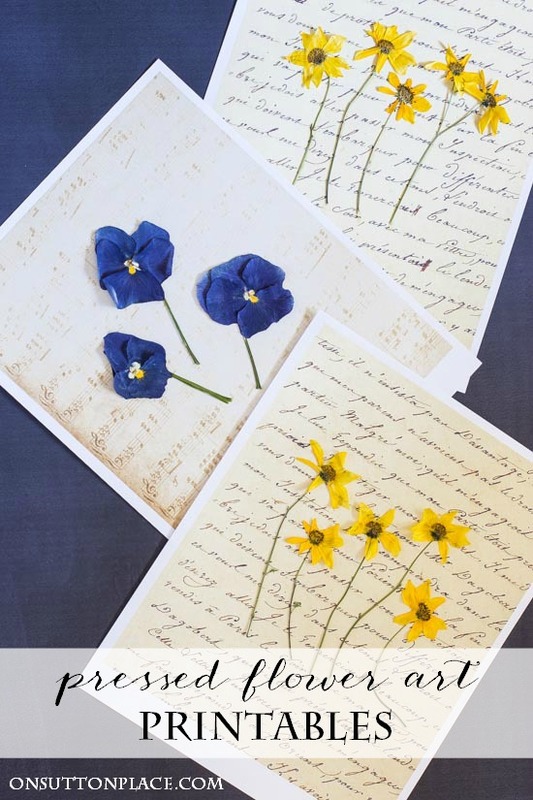 DIY Pressed Flower Art: an easy tutorial for how to press flowers and how to make pressed flower wall art, including free printables for the backgrounds! Sometimes it’s hard to get your creative juices flowing. Life gets in the way and there either isn’t enough time or you have more important things to do. 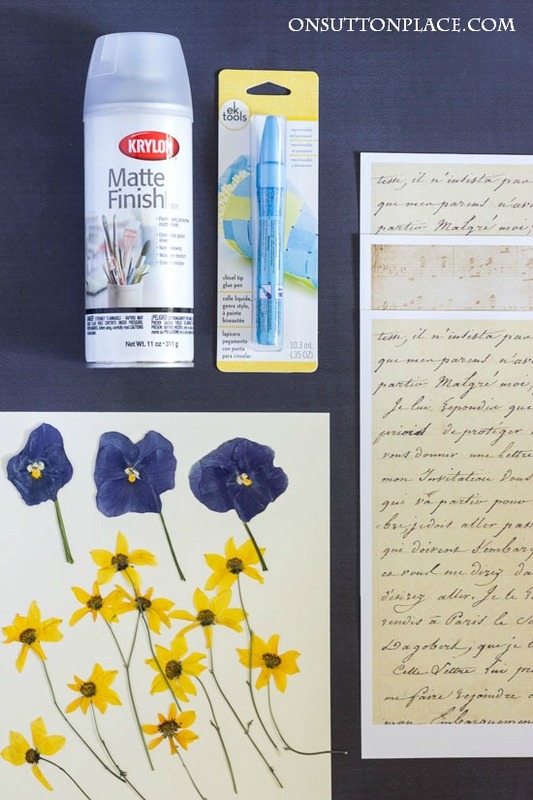 This DIY Pressed Flower Art can be done in stages and it’s not the least bit stressful. There’s no right or wrong way to do it. To get started, you don’t even have to go shopping. All you need are flowers and a newspaper. I actually pressed these flowers last spring, but never got around to doing anything with them. It was such a delight to finally open the newspaper sections and see what I had. You know what they say…simple pleasures are the best. So let’s get going. First I’m going to show you how to press the flowers and then we’ll make the wall art. First thing to do is harvest your flowers. Any flower with a thin stem will work. I did this in the spring, so I used pansies and coreopsis. Other blooms that press well are daisies, black-eyed Susans, cosmos, larkspur, marigolds, or zinnias with small blooms. They don’t have to be from a garden. Flowers from a florist or grocery store work beautifully. Gather a few sections of newspaper. Fold the sections in half, and then in half again. Carefully lay your flowers in the newspaper as show in the picture below. Fold the left side of the newspaper section over the flower blooms. Make sure that the petals are flat. Carefully place the folded up newspaper sections in a large book. Stack a few more books on top so there is plenty of weight. Wait four weeks. At the end of the four weeks, your flowers will be dried and ready to make your DIY Pressed Flower Art! It’s best not to peak at the flowers while they are drying. Until they are completely dry, there is a chance they could stick to the newspaper and then tear when you tried to look. Fast forward four weeks. 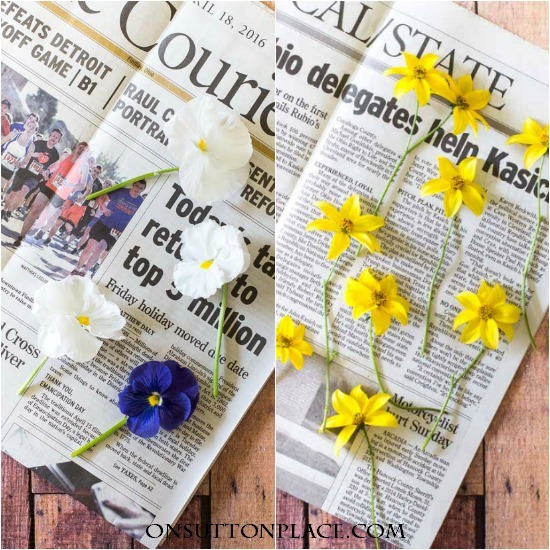 Your flowers are dry and it’s time to get creative! The first thing to do is print your background paper. I’ve included links to three choices at the end of the post. Then place your flowers on the paper. Move them around until you are happy with the way they look. Sort of a dry run. If you are using the glue pen, depress the tip until the glue is running smoothly. 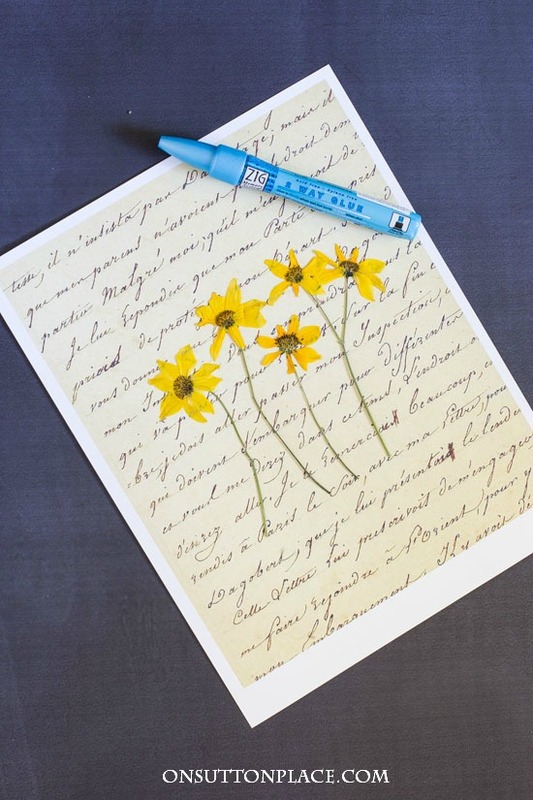 One at a time, lift each flower and apply the glue TO THE PAPER and then gently place the flower on the glue. If a petal comes off, just glue it back on. Same with the stems. Two of mine broke, but I just glued them together on the paper. Regular Elmer’s Glue could also be used, but take care not to use too much. A very small paint brush would be helpful. I liked the control I got with the glue pen. I had no smeared glue at all. Once you have all your flowers glued, let them dry for 30 minutes. If you are framing your art under glass, there is really no need to apply the matte sealer. I used it just to see how it would work. Be careful when choosing a sealer. This particular sealer goes on dry and very matte. It did not discolor the flowers or the paper. 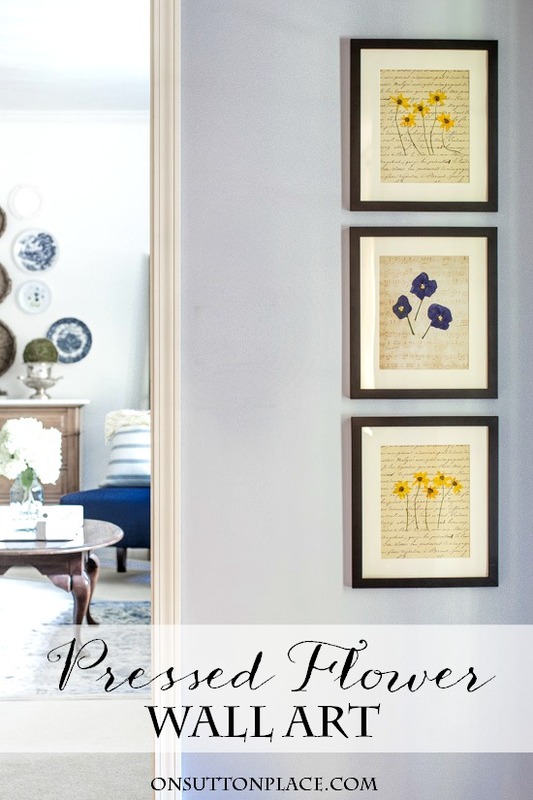 Another option for this wall art would be to Mod Podge the background papers on art canvases and then apply the flowers. You would definitely want to use the matte sealer for a piece of art that is not protected by glass. Since I already had the mats and frames, the only cost was for the glue pen and sealer. 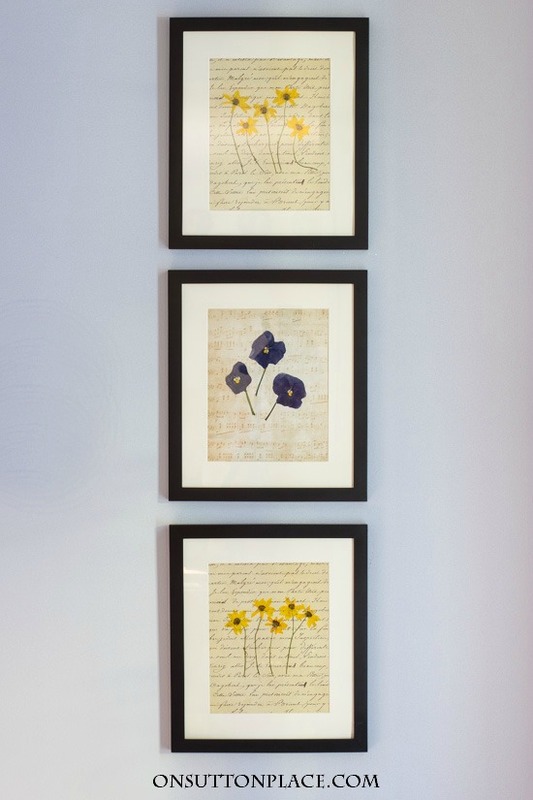 So for around $15.00, I got three pieces of custom, DIY Pressed Flower Art for my entry walls. Click to download the vintage french script paper. Click to download the vintage sheet music paper. Click to download vintage parchment paper. This project was inspired by the book Garden Made. The author is my friend Stephanie Rose from Garden Therapy. Now you are in for a treat! It’s time once again for my farmhouse friends to share a DIY project with you. Take a look if you have an extra minute. Where do I find the glue pen? I’ve never seen anything like it! Thank you. They are lovely and would make a great gift . I use paper towels to cover my flowers then put them in a layer of waxed paper as I find some times the ink from the newspaper rubs off. Lavender looks really pretty mounted too! I love pressed flowers and these look beautiful against the background paper.They are a nice addition to your entry. So I wonder if pressed flowers like pansies do well under a coat of Mod Podge? I’ve wanted to decorate wooden eggs with fabric flowers, kind of broderie perse style, but it would be so much more fun with real, pressed flowers! Thanks for stirring up the creative thoughts this morning!! Hi Denise…I’m not sure about putting the Mod Podge on the pansies. If you try it, let us know! I love this project😊Pansy are some of my favorite flowers!!! Thanks Ann! Darling! They look great on your wall. Thx for sharing. Such a wonderful idea. We will be moving this year and this will allow me to ‘take’ some of my flowers with me. Nice and easy and straight forward instructions. Explanations a great help. Thank you for the e books they look so grea,and the printables I love to change around my screen savers. And the pressed flower DIY is great will be pinning for future use. Ann, I think I can even do this !!!! 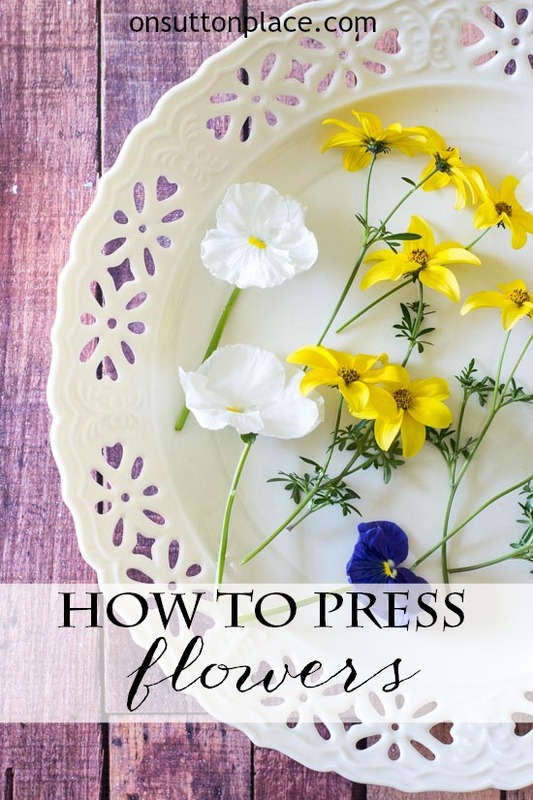 I used to love pressing flowers as a child! This project is really so beautiful. Thanks for your clear, concise directions. It’s so awesome to see the different ways you use the 3 frames! At first I was bummed because I haven’t watered a such as I should have and a lot of my flowers look withered and not so pretty. But then I remembered I had pressed several leaves and done nothing with them. I’m now super excited to do this and actually be ready for fall! I also have a few bird feathers and I wonder if they might press well…..
Ann, these are so beautiful! I love that I can use flowers straight from my garden. I know what you mean about staying creative! You do creative beautifully! I love the look of art with the pressed flowers. It’s simple and elegant and I’ve always wanted to try it so this time I think I really will. I have some empty walls in a guest room and I think this is the perfect idea for simple lovely art. Thank you as always – I always enjoy your blog. What an inspirational post! I am going to try this! I think the background paper make a huge difference. Thank you so much for sharing….. This couldn’t have come at a better time. We buried my mom on Monday, she had been living with me the last couple of months. You Know how hard this has been for me. I took some of the flowers from the gravesite and was wondering what I could do to preserve them. You came through for me. Thank you! This is one of my favorite posts! Can’t wait to press some flowers! Thanks for making it seem so easy…yours look lovely! 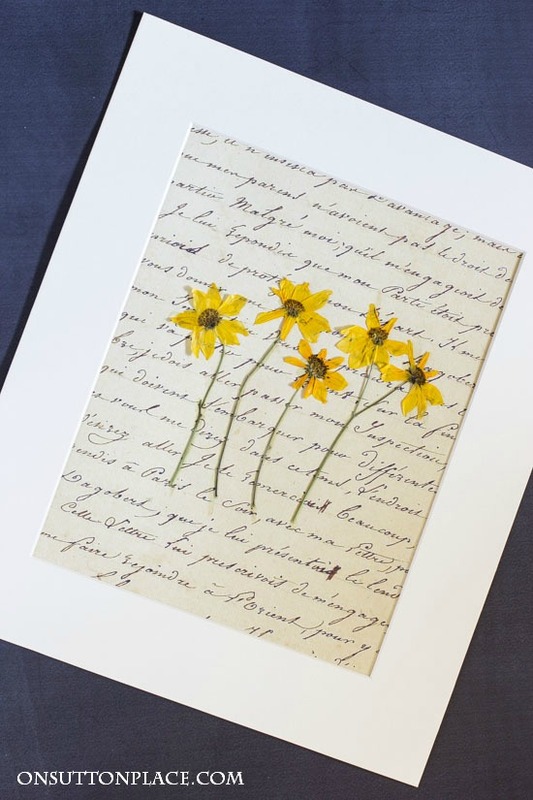 I have loved pressed flowers since i was a little girl. Now I have a beautiful place to put them. Thank you so much Ann. These are so pretty Ann, it brings back memories when I was a child. I remember seeing this, maybe not as nice as you have presented it here. Looks awesome thanks for the downloads as well with the paper! I may have to try this once I get some time ! These are amazing. This is something my daughter would greatly appreciate. I will have her start following you, today. Beautiful Ann! I am having my hallway painted this week and am looking for something new…this may be perfect!!! These are beautiful, Ann. Thanks for the great tutorial. i love these Ann! I actually have a flower press I haven’t used in years and years. I covered a hat box with dried flowers and pearl strands on top that were my grandmother’s and gave it to our daughter to keep her wedding veil in 24 years ago. Oh how I miss these old crafts…thanks for this updated idea and for motivating me to find that old press. ???? How sweet, Ann! I’m definitely going to do this. I have all the right flowers blooming in my garden for this project. Love the background paper. Thanks for this idea! You rock!